If you’re looking for expert gutter replacement service in Cincinnati, OH, turn to 31-W Insulation. Our team of professionals has been providing homeowners throughout the region with a broad range of home improvement services for more than 40 years, and customers rely on 31-W Insulation when they want top-notch gutter replacement services. Having functional gutters is essential to protecting your Cincinnati, Ohio, home from water damage. When gutters are leaking or broken, they fail to properly channel rainwater away from the house. The water that then pools and collects not only erodes the landscape on your property, but can also seep into your home’s foundation, resulting in costly water damage. Top-of-the-line gutter replacement service from 31-W Insulation is the ideal way to prevent that from happening. What’s more, you can be confident that your new gutters will be installed securely, because we never use subcontractors for our installations. Only our factory-trained employees perform our gutter replacement jobs, ensuring that the work always meets the highest standards of workmanship and service. 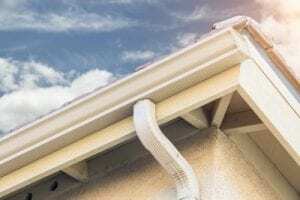 If you want more information about the gutter replacement services we offer homeowners in the Cincinnati, OH, area, contact 31-W Insulation today.